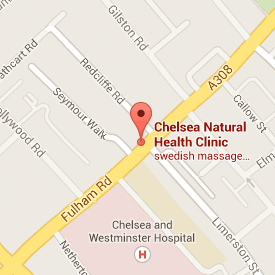 Stuart is a UKCP accredited psychotherapist, practising in Chelsea, Paddington and Streatham. I provide counselling and psychotherapy to clients with a wide variety of issues and concerns. I work with a broad cross spectrum of therapy clients. Organisations I have worked with include Bereft bereavement service and Fresh Start Psychotherapy. I have extensive experience working with the clients struggling with self-esteem and sense of self, those recently bereaved, persons with sexual issues, and facilitate several groups focussed on positive mental health. In addition to my private work, I am Deputy Director for C.A.P.E; an established registered charity offering a dynamic and flexible outreach and day service for people who experience enduring mental health difficulties. This work has allowed me to focus on the power of the therapeutic process from some of the most common yet deeply impactful mental health issues anxiety and depression. I trained as an integrative transpersonal therapist. My approach with clients who are struggling with difficult experiences is to cultivate a safe, healing therapeutic relationship, which offers clarity and support, and enables them to restore balance in life. Sessions will often include examining how the past impacts on the present and use of the creative imagination, visualisations art and dreams. My work also incorporates many styles using gestalt, transactional analysis, bodywork and cognitive behavioural therapy. It is important to me to meet you where you are and find ways of working that are helpful to your needs. Most of us encounter problems at some point in life that we struggle to deal with ourselves, or we may find it difficult to gain resolution to issues from our past. Life can often feel like a complex puzzle where the pieces do not fit or some are missing. Entering into a therapeutic relationship within a safe environment will allow you to explore how to fit the pieces together again to complete a positive picture. I hold a post graduate diploma in Transpersonal and Integrative Psychotherapy from the Centre for Counselling & Psychotherapy Education (CCPE). I have a Masters degree in Psychotherapy. Please visit my website www.stuartderbyshirepsychotherapy.com for more information, call 07779023003 or use the form above to contact me.